Want to brighten your wedding-day hairstyle, but also need to save money for the honeymoon? 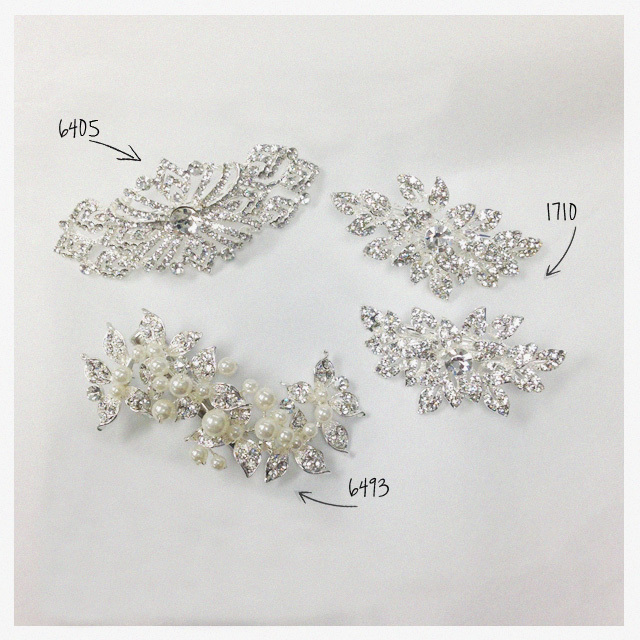 Check out our gorgeous clips that retail around $100 for the budget-savvy bride. Look gorgeous without sacrificing style—or your post-wedding financial goals! A little sparkle goes a long way! Feel your most beautiful and give your look the slightest hint of glamour. 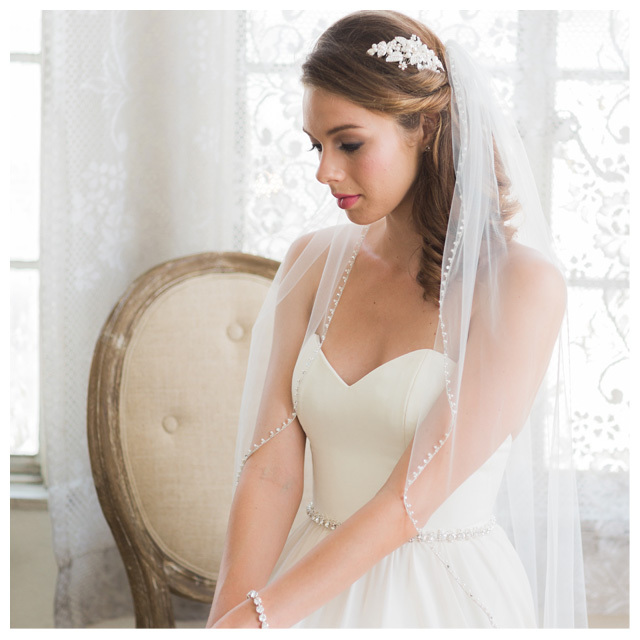 These lovely accent pieces will bling up your bridal hairstyle. Pretty up your hairstyle with style 1710. A dazzling little pair of rhinestone clips, these glittering leaves and round rhinestones add a touch of sparkle to your bridal ensemble. These clips hold well in most hair types and are great gifts for bridesmaids, too! For a touch of romance, clip in style 6493. Lustrous pearls and twinkling rhinestones shine with fairy-tale elegance on this lovely little bridal accent. This piece coordinates beautifully with your pearl or rhinestone jewelry and is a fun addition to your reception look! Style a gorgeous vintage-inspired look wearing glittering Art Deco clip 6405! Whether your look is truly retro or just timeless, you’ll love the jazzy shimmer and intricate beauty of this stunning sparkler. Be sure to check back next month for our “Budget Headpiece” spotlight on Headbands!